The region of Tuscany in Italy has long been known for its green rolling landscapes, high culture and historical heritage. 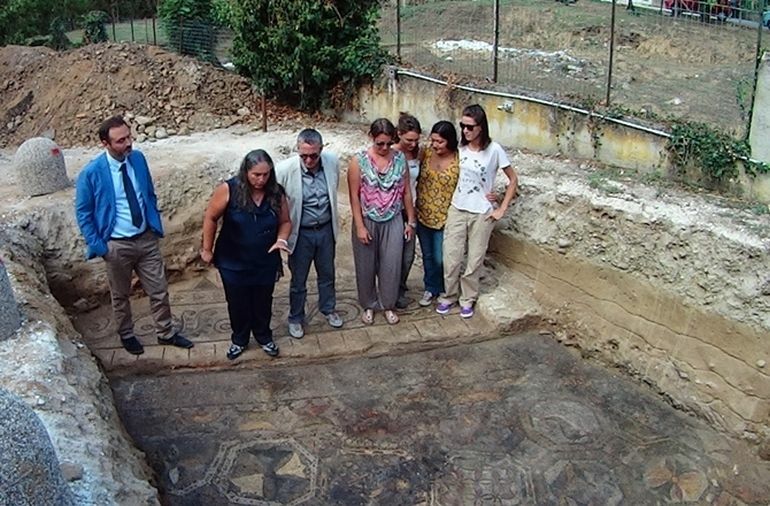 Pertaining to the last part, archaeologists have unearthed part of a large ancient Roman mosaic with incredible details, while digging in an area close to a local road (in the small village of Capraia e Limite). 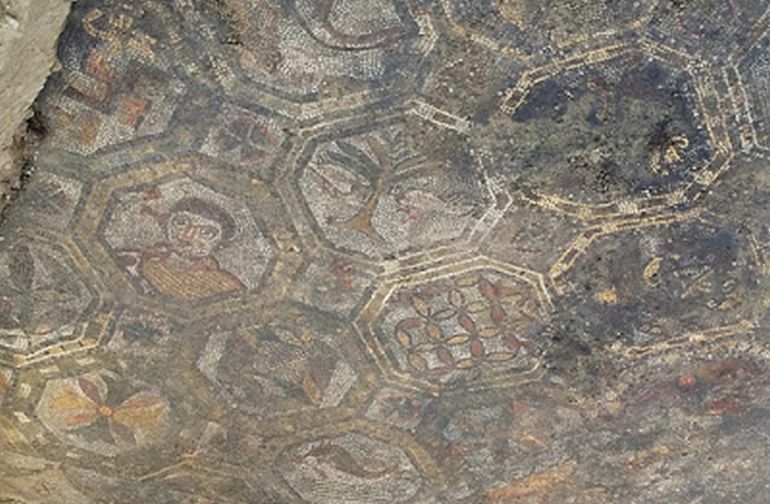 Probably dating from the latter part of 4th century AD, the mosaic flaunts its exquisite geometric patterns combined with ‘organic’ motifs. 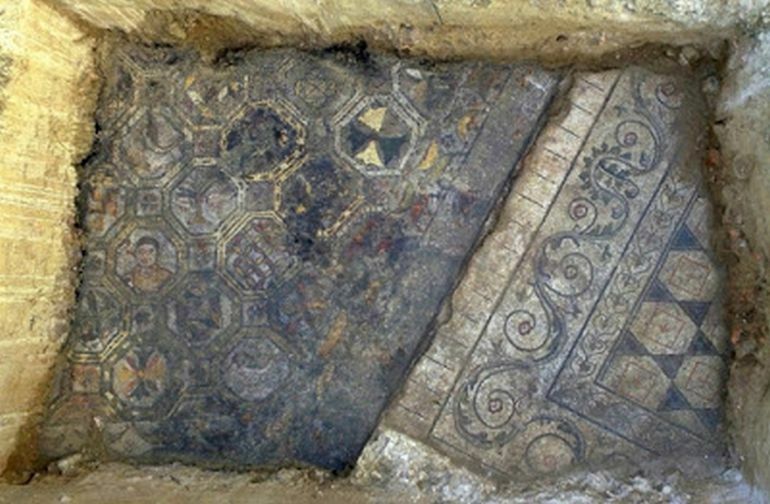 And judging by its position, the expansive artwork was arranged along the floor of a ritzy Roman villa that existed for around 500 years, from 1st century to early 6th century AD. The Roman statesman and orator Quintus Aurelius Symmachus even complained in his letters that Vettius enjoyed too much opium in his estates in Etruria, instead of dealing with politics in Rome. 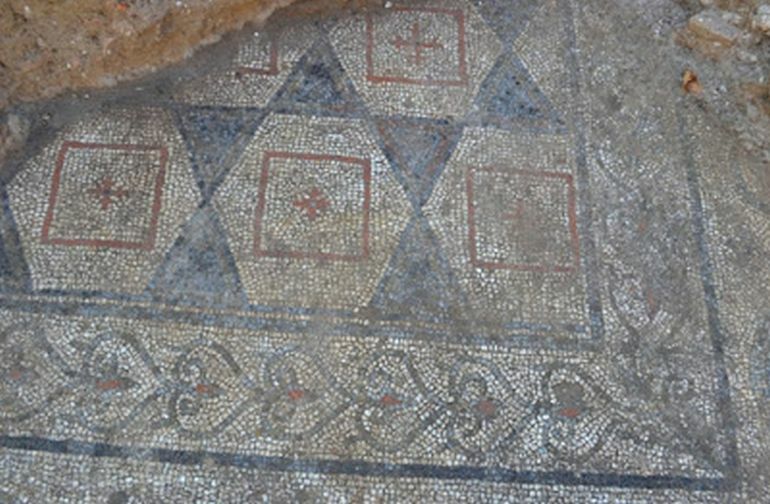 We speculated the mosaic floor extends further, thus we tested the hypothesis with a survey dig. 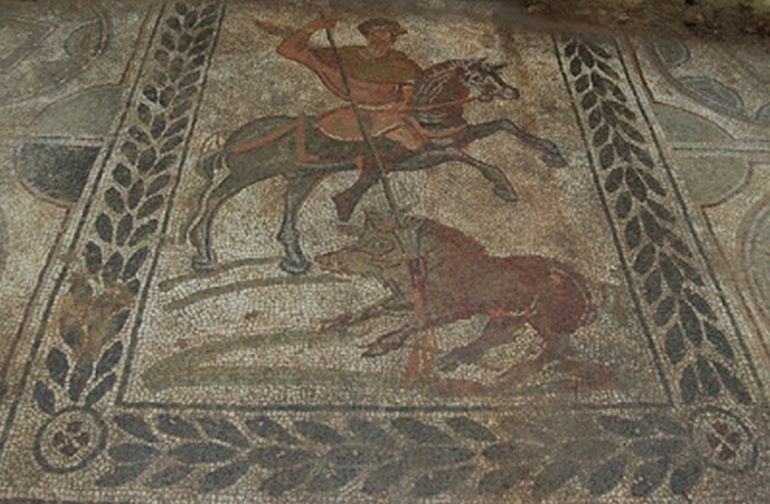 We estimate the size of the floor mosaic to be about 300 square meters (984 square feet). We only have unearthed one-eighth of it. Our goal is to open these beautiful artworks to the public. We are working to make this happen. 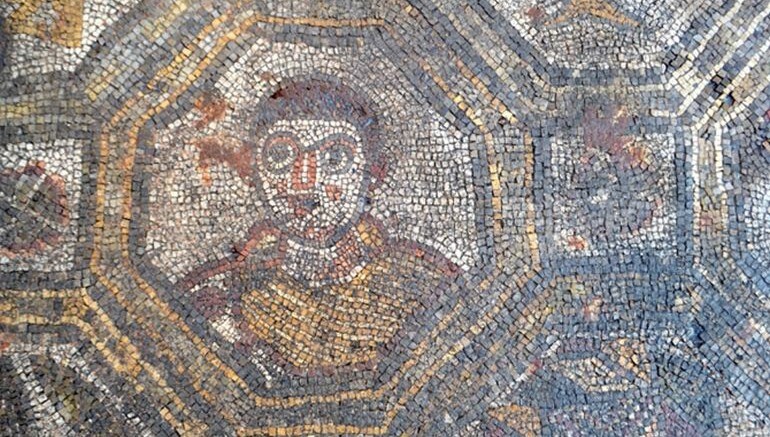 1 Comment on "Archaeologists unearth incredibly-detailed Roman mosaic, belonging to ancient Tuscan villa"